Be an angel. Take a walk. 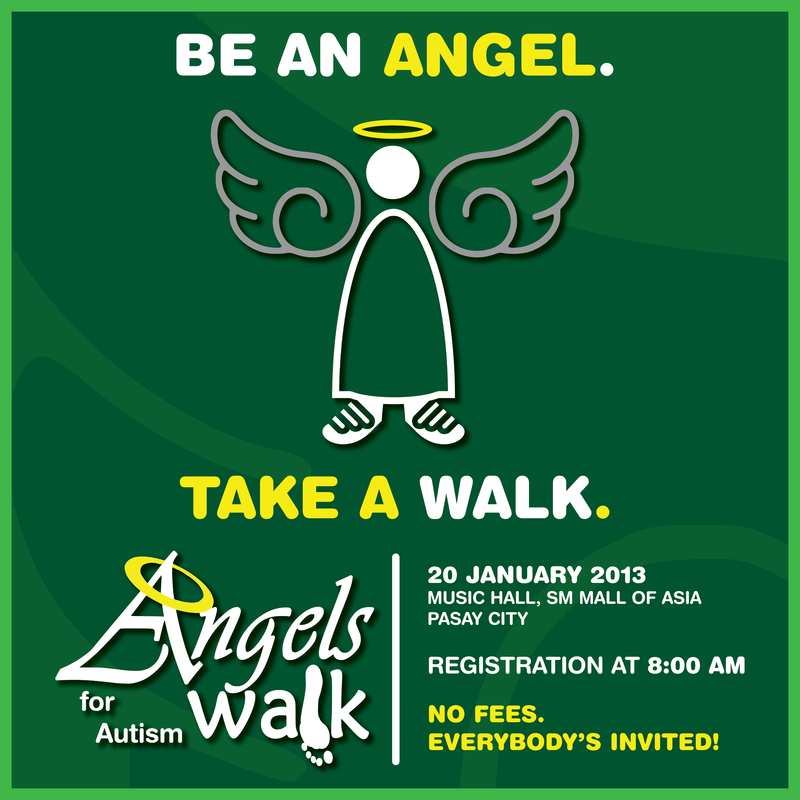 On 20 January 2013, Autism Society Philippines will hold their annual Angels Walk for Autism at the Music Hall, SM Mall of Asia, Pasay City, Philippines. This event is the opening salvo of a series of events in celebration of the 17th National Autism Consciousness Week (20-27 January 2013), with the theme “Autismo Alamin, Pagtanggap at Pag-unawa Palaganapin” (Know Autism, Promote Acceptance and Understanding), with the objective of promoting appropriate information about autism, and well as accepting and understanding individuals on the autistic spectrum as parts of the society. As a second-time participant in this event, yours truly, Autistic Big Bro, will do a live blog on this prestigious event that has made thousands walk to make real rights for autistic Filipinos. Stay tuned for more details. congratulations to the autism walk and may you have many sponsors and friends who will support this cause esp for children who are afflicted with autism.